Read the Hyundai ix20 MPV (2010 - ) car review by Auto Trader's motoring experts, covering price, specification, running costs, practicality, safety and how it drives. The Hyundai ix20 aims to mix MPV versatility with supermini proportions, but while it does a decent job, it doesn’t do it as well as some other small MPVs. It looks a little pricey as well. Interested in buying a Hyundai ix20? Entry-level Classic trim comes with air-conditioning, remote locking, electric front windows and a stereo with a USB socket, but Active trim is our favourite with its powered rear windows, alloy wheels, reversing sensors and Bluetooth. The leather steering wheel (with audio controls) also gives the cabin a lift. Style trim adds a panoramic roof and privacy glass. Like many other mini-MPVs, the Hyundai ix20 has rather boxy lines, but with a relatively low nose and some interestingly chiselled features, it still looks pretty smart. To our eye, though, it doesn’t look as interesting as rivals like the Nissan Note or Citroen C3 Picasso. On the plus side, all models get alloy wheels as standard, so you don’t have to fork out for a pricier version to get a smart-looking car. The ix20 has two-way steering adjustment and driver’s seat height adjustment, but because the range of movement is rather limited, the driving position could still be more comfortable. The dash layout could be simpler, too, but although there are a lot of buttons, most of them are big and clearly marked. The cabin materials look fairly smart at first glance, but they’re not so appealing on further inspection, as too many of the plastics have a hard, scratchy finish. Four engines are available in the ix20, two petrol and two diesel. The entry-level petrol, a 1.4 with 89bhp, is the pick of them. Its eager, flexible nature really suits the car, and it’s the smoothest, quietest engine on offer. You won’t really notice the extra power you get from the 123bhp 1.6, because it’s only available with a performance-sapping automatic gearbox. The entry-level diesel, a 1.4 with 89bhp, feels rather too flat and gives off far too much noise and vibration. We haven’t yet tried the other diesel, a 1.6 with 114bhp. The ix20’s high roofline gives all occupants generous headroom, and the rear seats slide forwards and backwards so you can use the space available for either rear legroom or boot volume. Even with the seats slid right back, the boot is a good size, although other small MPVs give you even more. The rear seats also fold flat to give you maximum capacity. All in all, it’s a decent little package, but it doesn’t do anything particularly clever. Hyundai has an excellent reputation for reliability, and that’s supported by the company’s top-ten classification in Warranty Direct’s manufacturer standings. You also have the security of a five-year warranty, but the Kia Venga, which is more or less the same car, gets a seven-year warranty. The ix20 has a reasonably comfortable ride most of the time, but it can feel a little bumpy over patched-up urban surfaces. The notchy gearshift also makes town driving more of a chore than it should be, but at least the light steering helps with parking. However, this lightness isn’t so great at higher speeds, because it makes the steering feel very vague. You’ll feel plenty of body roll in bends, too, but the car always stays grippy and secure. The ix20 isn’t particularly cheap to buy, and the car’s relatively weak resale values will make owning one even more expensive long-term. On the other hand, fuel costs are about average for the class. The 1.6 diesel is the cleanest engine in the range, with average economy of 64mpg, while the smaller diesel returns 63mpg. The 1.4 petrol’s fuel return of 47mpg is no great shakes, though, and the 1.6 petrol is even thirstier at 43mpg. Safety kit includes stability control across the range, plus front and side airbags, along with curtain ‘bags that run the full length of the cabin. The ix20 has undergone Euro NCAP crash tests, and has achieved the full five-star rating. Because you want MPV-style space and practicality in a supermini-sized package. 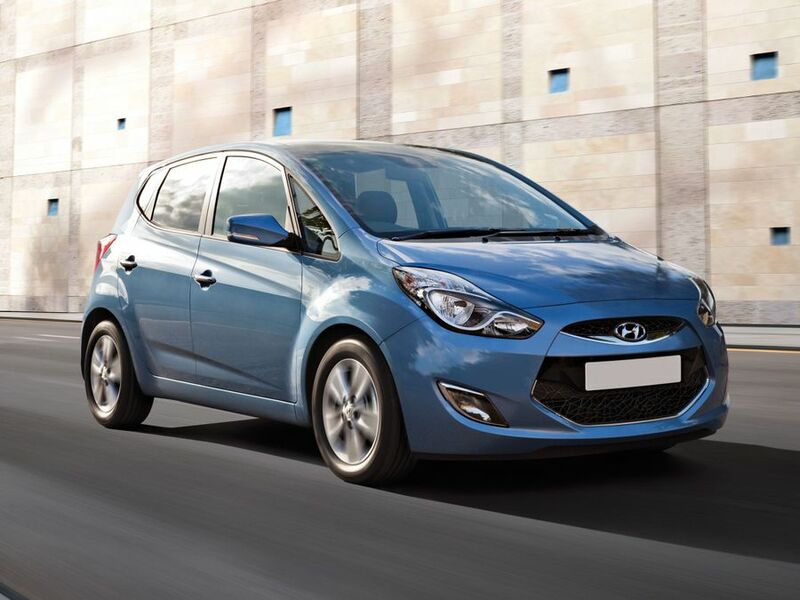 However, plenty of other cars offer that, and many do it better than the ix20.